As discussed yesterday on this site, a new report by economist Roger Bezdek demonstrates that carbon energy has immense social benefits, and, consequently, carbon pricing schemes can have devastating social costs. Today’s post takes a closer look at Bezdek’s discussion of the health risks of policies, such as carbon taxes, cap-and-trade, renewable energy quota, and carbon capture and storage (CCS) mandates, that raise household energy costs. For example, consider the case where one household has an energy bill of $1,000 and an income of $10,000 and a second household has an energy bill of $1,200 and an income of $24,000. While the first household has a lower energy bill ($1,000 for the first household compared to $1,200 for the second), the first household has a much higher energy burden (10 percent of income for the first household compared to five percent of income for the second). 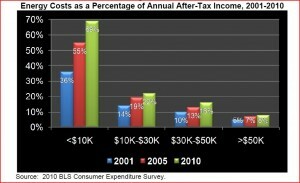 Families earning more than $50,000 per year spent only 4% of their income to pay energy-related expenses. Families earning between $10,000 and $25,000 per year (29% of the U.S. population) spent 13% of income on energy. Those earning less than $10,000 per year (13% of population) spent 29% of income on energy costs. For households earning less than $10,000 per year, the percent of after-tax income consumed by energy costs increased from 36% to 69%. For households earning between $10,000 and $30,000 per year, the percent of after-tax income consumed by energy costs increased from 14% to 22%. For households earning between $30,000 and $50,000 per year, the percent of after-tax income consumed by energy costs increased from 10% percent to 16%. 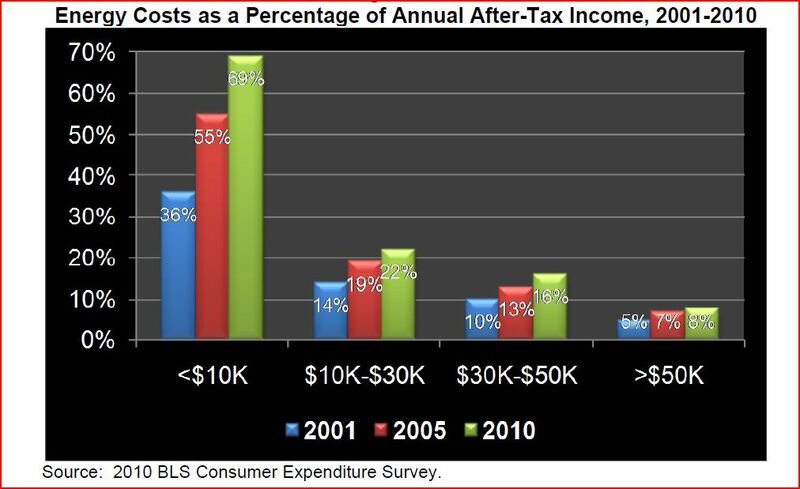 For households earning more than $50,000 per year, the percent of after-tax income consumed by energy costs increased from 5% to 8%. In a speech in December last year, President Obama decried what he described as the “rising inequality” in our economy. He was especially concerned about impediments to upward mobility that prevent low-income kids from becoming middle- and upper-income adults. He did not mention energy. But, if Bezdek is correct, in 2010 “the poorest households were paying, in percentage terms, nearly nine times as much for energy as the most affluent households.” That sure looks like a handicap in the race of life. You might then think the President would make it a priority not to add to the ongoing increase in household energy burdens. However, he favored a cap-and-trade program which he acknowledged would cause electricity rates to “necessarily skyrocket,” and his administration is waging a war on coal that can only increase household energy costs. On average, U.S. households earning less than $50,000 a year spend more on energy than on food, medicine, clothing, insurance, or healthcare. 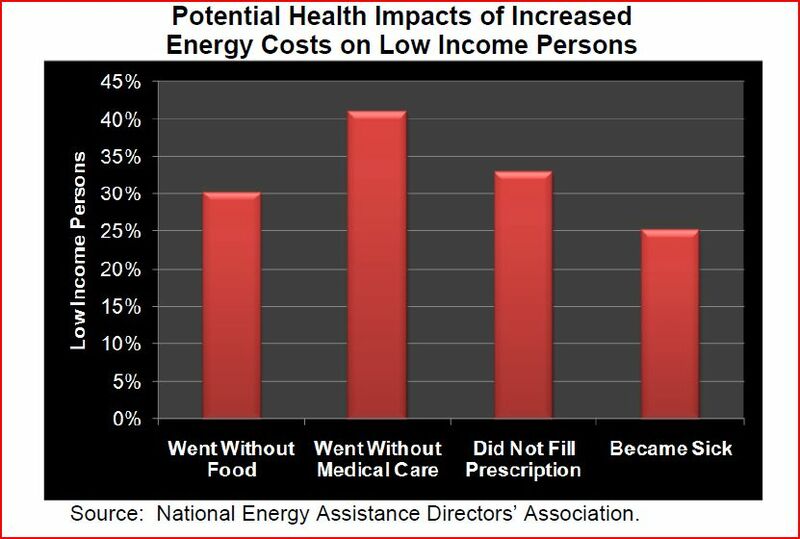 High energy costs already impose real sacrifices on low-income households. Impacts include reduced expenditures for food, medicine, and education, reduced savings, and late credit card payments. Anti-carbon tax and regulatory policies that would make energy even more costly directly imperil the health and welfare of low-income households. 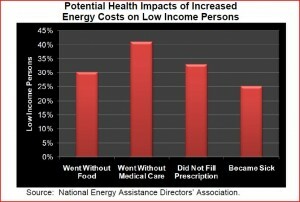 The chart below shows the health risks created by today’s high energy costs. Adverse impacts on GDP, income, and employment, which can increase illness and mortality rates. Inadequate heating or cooling of homes during cold winters or summer heat waves. 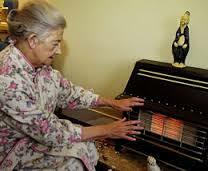 Substitution of risky alternatives for central heating when households can’t pay their utility bills. Financial stress contributing to poor credit ratings, missed mortgage payments, evictions, and household instability. I’ll have more to say about this valuable study in a future post.